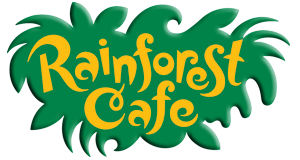 The Rainforest Cafe is a unique dining experience in the heart of the Niagara Falls tourist district, perfect for kids or the kid at heart. Guests will be accommodated on a first come first serve basis with the Rainforests commitment to provide all guests with a fun dining experience; the Rainforest Cafe does not accept reservations. For groups of 10 or more (subject to availability) please contact the sales department sales@niagarafallshotels.com. For more information including expected wait times please call 905-374-2233.